Members receive exclusive store discounts, which can be taken advantage of by using the coupon codes during checkout. You will find the active coupons in each edition of BQ eNews or within the members portal. If you're not a member signup today and check out all the member benefits. Tastefully combining elements of style and safety, you’ll definitely be noticed in Bicycle Queensland’s corporate-themed high-vis commuter jersey. The jersey features a full-length zip, three pockets on the back, and a bound waist. 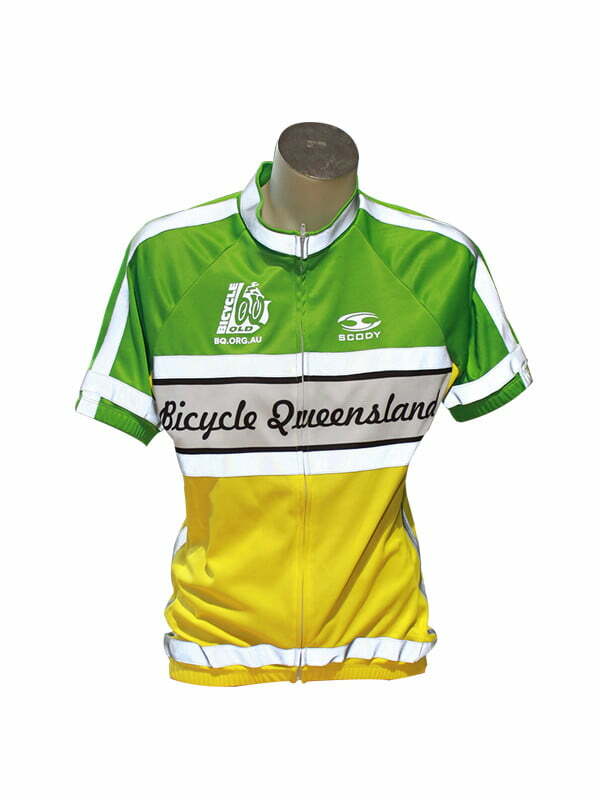 Designed by SCODY in association with Bicycle Queensland, the new jersey features retro-reflective strips on the chest, collar, shoulders, waist and sleeves, with patterning repeated on the back for added visibility. The design builds on the findings of QUT researchers who identified significant improvements in visibility at night of subjects wearing retro-reflective clothing. Close attention has been paid to including retro-reflective stripes on parts of the body which move when you are riding. Really like this Jersey the colors are great the fit is good reflective material is great for night riding just find it a Bit too warm in the warmer months. Love the help one that was a bit cooler so could be worn in the summer months.